Blog Online Mastering vs Pro Master! SHOOTOUT! 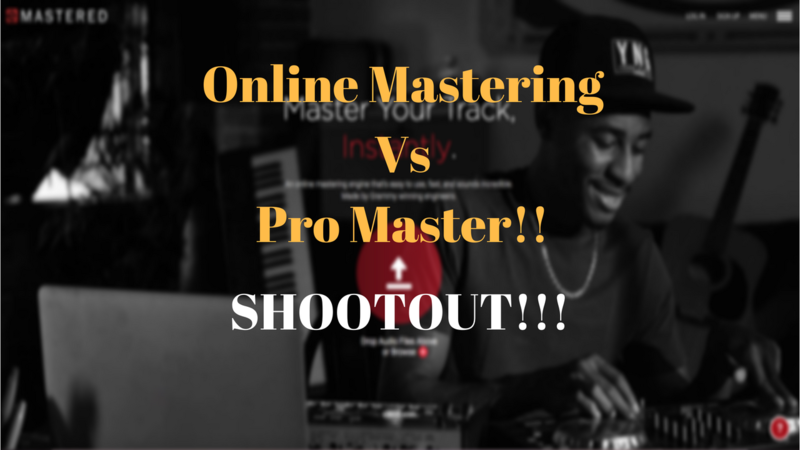 Online Mastering vs Pro Master! SHOOTOUT! Online mastering services can be a controversial subject, and I totally get it. Let’s face it though, the future is here. I understand why people may get defensive when you say a computer algorithm and AI is about to put a lot of human mastering engineers out of business, or at least make it harder to gain clients. I mean, how can a computer have the musical touch as someone who has dedicated their lives to learning this craft and has developed a taste that people are willing to pay for. If for some reason you are confused about what mastering is let me break it down real simple. There are 3 phases when it’s time to record your song. Where the musicians come in and actually play their instruments into microphones and try and capture the best sounds and performance possible. Where and audio engineer takes all those recorded sounds and makes sure it sounds like a cohesive and clear representation of the song, and adds effects and excitement. They use EQ, compression, reverb, delays, and many other processing on a track by track basis. Where a mastering engineer takes the final stereo mix of all those individual tracks that the mixing engineer worked their tail off to make it sound like a complete song. They may add small global EQ, compression, increase in volume, and any other global moves that may be necessary to add that “finishing” touch to a song. With online mastering instead of human mastering, the creators and users feed thousands and thousands of songs into this software and the AI (artificial intelligence) actually analyzes each song and learns what EQ, compression, and loudness moves to make in order for the song to sound competitive and useful. The more songs it’s fed, the better it gets. It’s learning on a song by song, genre by genre basis what do to to master properly. The guys at Emastered contacted me and asked if I could do an honest review of their product. I had never used and online mastering service, so I was naturally curious on how it all actually worked and more importantly sounded. I thought what the hell. They let me do it for free, even though it’s already cheap to use it. So I gave it a shot. In this video I put a song I already had professionally mastered up against the online mastering offered by emastered and was actually surprised at the results. The video is below. See, or should I say hear for yourself. You be the judge. Here is the link to their website if you decide you want to give it a shot.